If you need to repair the roof of your home in the Granite City, Illinois area and you want a contractor you can trust to provide quality work at a fair price, look to Daech & Bauer Roofing. We’re so confident in the roofing services we provide that we back all of our work with a five-year labor warranty. We also offer a guarantee that we will match any local competitor that offers the same products and services for a lower price. 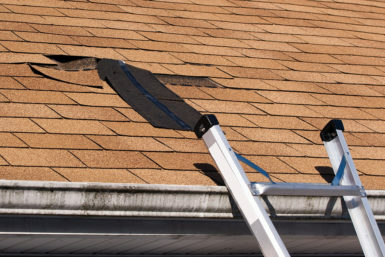 Additionally, we stand out from many of the other roof repair contractors in the area due to our extensive experience with the insurance claim process. If your home is damaged by severe weather, we will be there every step of the way to make sure your insurance company adequately covers all of the damage so your home’s roof can be returned to optimal condition. If you would like additional information about the roof repair services we offer for homeowners in Granite City, IL and the surrounding areas, contact Daech & Bauer Roofing today. Be sure to ask about the financing plans with low monthly payments that we offer to those who qualify.